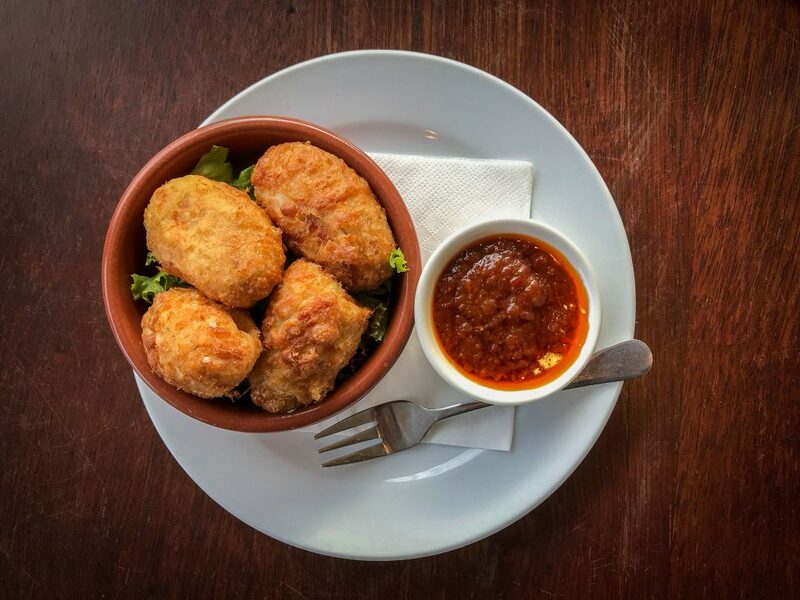 If you’re craving a taste of European flavours in Byron Bay then it’s hard to go past Targa. From the bistro styled décor to the Italian wines and the staff from abroad – there is a definite European mood. At tables outside, you can take a morning coffee or an afternoon aperitivo while watching the passing foot traffic (without the European smokers!) Inside the restaurant, you will find ceiling high shelves gilded with layers of wine bottles and shiny glasses. There is a classic panoramic brasserie mirror on the far wall and cosy café styled seating and nooks. It takes me back to the bistros of France and Italy and that’s before you get to the menu. Targa serves breakfast, lunch and dinner seven days a week as well as a light afternoon menu for snacking. 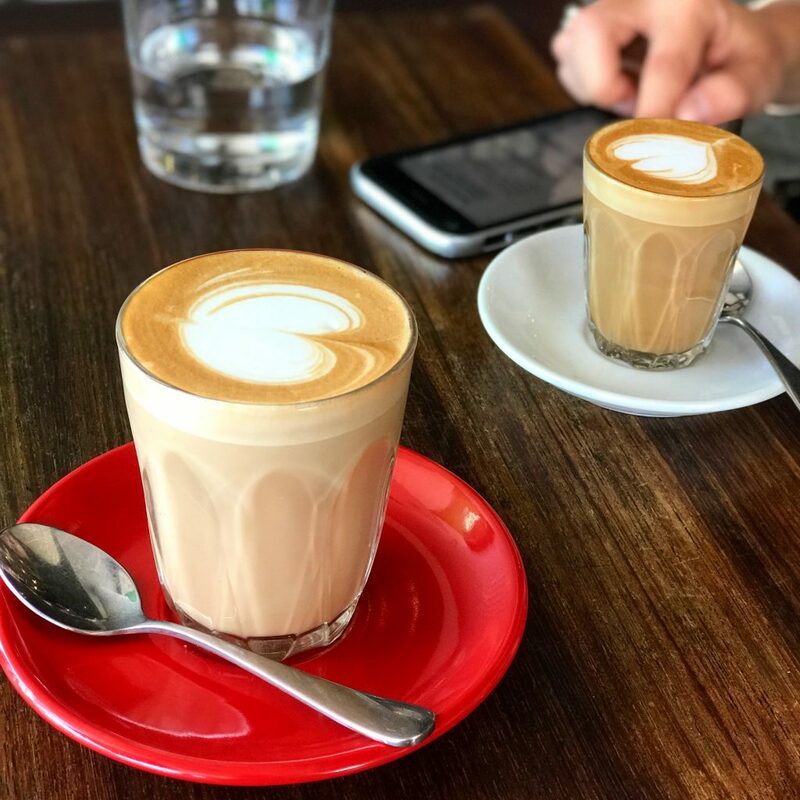 Breakfast options include Bolognese on Toast served with parmesan and rocket (you can’t go wrong), a Breakky Bruschetta of poached eggs on sourdough served with roasted pumpkin, feta and almond dukkha or the Mushroom Omelette with mushroom ragu, goats fetta and salsa verde. Kids can tuck into a Bambini Breakfast menu as well. I always have a hard time choosing – especially when there is changing specials board as well. For lunch at Targa you can eat as much or as little as you like. On the lighter side of the menu try the Summer Nectarine Salad with prosciutto, basil, mozzarella and vincotto. So fresh! Get your companion to order the Beef Tagliata. 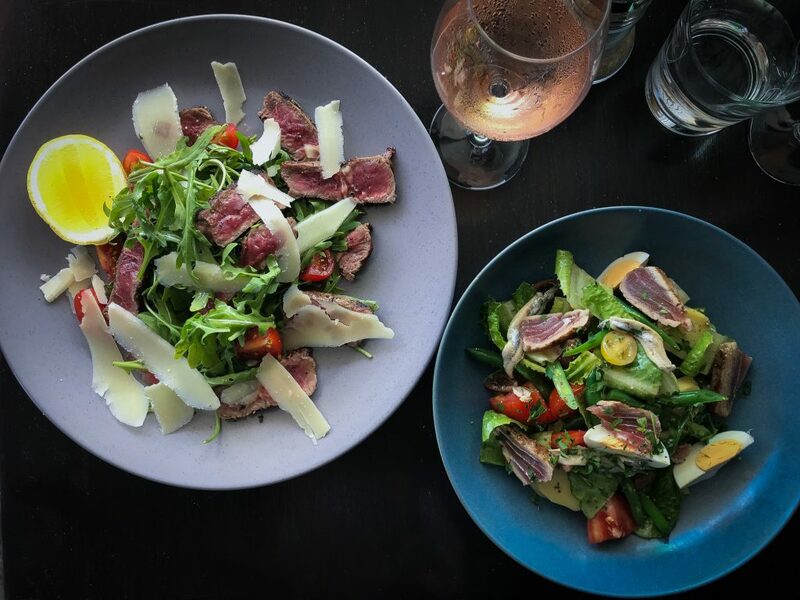 It’s a cold salad of sliced char grilled beef, rocket, shaved parmesan, olive oil and lemon. Or for something more substantial there is the Pan Roasted Salmon with peperonata ( a sweet capsicum sauce), grilled kipfler potatoes and salsa verde. The kids have a great menu as well with pasta, fish and steak options. Keep an eye out for the daily specials. I recently recall a Nicoise Salad with seared tuna that took me back to the south of France. The dinner menu at Targa is an extended version of the lunch menu. The Linguine (also available at lunch) is a stand out, served with king prawns, snapper, mussels, tomato, basil, chilli. The sauce is incredible. I imagined eating the sauce and pasta pure and simple with just a grating of parmesan. It’s lick the bowl type good! Nine times out of 10 at Targa we choose something from the daily specials. Mr GFAF recently enjoyed Beef Ribs that were cooked to tender perfection and served with potato and an eggplant agro dolce. It was robust but not at all heavy. You can add sides too like the Caprese Salad of local Coopers Shoot tomatoes, buffalo mozzarella and basil. Of course there is dessert and it’s hard to go past the Tiramisu although when you’re feeling like something lighter an Affogato is equally as satisfying in my books! 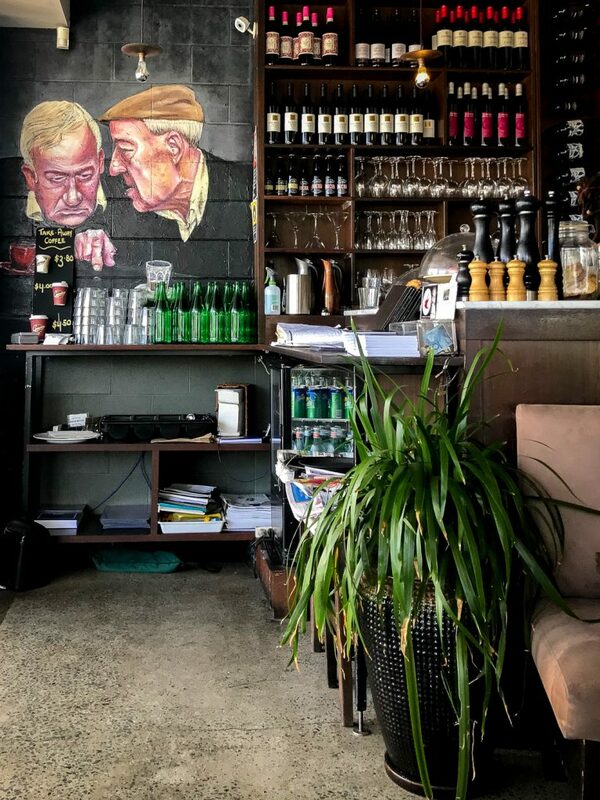 Targa offers a small ‘snack’ menu daily between 2.30pm and 5.30pm which coincides perfectly with their Apperitivo Hours daily from 4.00 -6.00pm where you can order $12 Cockatils, $8 wine glasses and $7 Beers. Try some house made focaccia and grilled chorizo or some polenta chips with aioli and a Negroni. But if you feel like something sweet, they serve coffee and cakes all day. The best thing about Targa for me is that the food and the service is consistently good. There are a number of venues around town that fall well short of the consistency benchmark. In terms of the food at Targa, I always have trouble choosing from the menu because it all sounds tempting – and the specials board just makes decisions harder. The service at Targa is relaxed and friendly and in keeping with the bistro style feel. In Winter, when the doors are closed to keep out the night chill, it can get noisy inside but I’ve got used to this as it kind of adds to the ambience – just like a real European bistro. 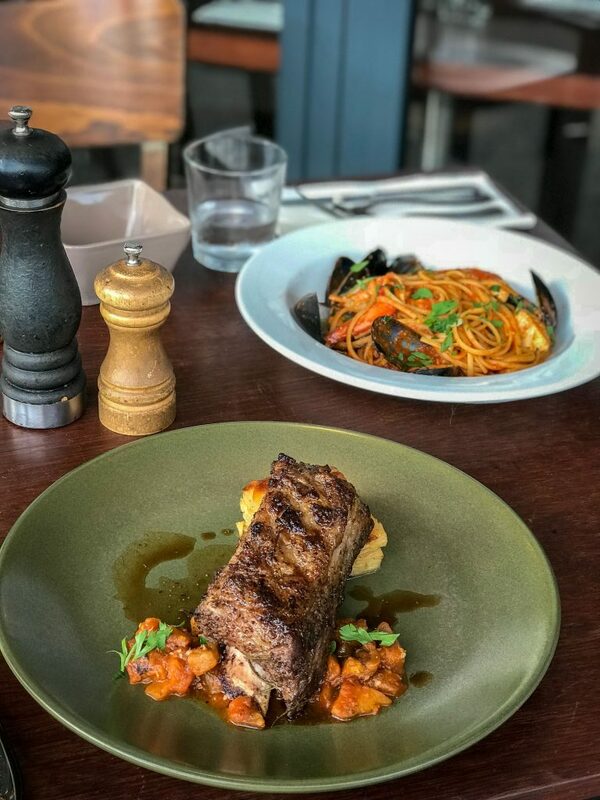 I recommend Targa for anyone looking for a little taste of Europe (especially Italian cuisine) or for anyone looking for great flavours and service that are both consistently good.